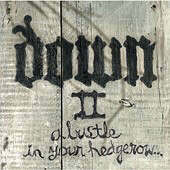 ‘Down II: a bustle in your hedgerow’ is the most honest metal album I’ve ever heard. 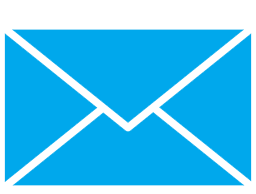 It’s very up-close for the listener, bearing no pretense and speaking a language that rings true to anyone who’s had a moment of turmoil while searching for the strength to pull through. The southern metal sound of this super-group is heavily laden with the soul of a swampland blues while showing astounding dynamics. This might not come as much of a surprise considering the lineup consisting of Corrosion of Conformity’s Pepper Keenan and Jimmy Bower, Pantera’s Phil Anselmo and Rex Brown, and Crowbar’s Kirk Windstein all locked themselves in a barn (now known as “Nodsferatu’s Lair” [sic]) in the middle of Louisiana for a month. In addition to the swampy isolation, the boys were rumored to only consume beer, liquor, "miscellaneous items" and ramen noodles, ultimately mirroring the album's tone; a mix of bereavement and indulgence. The result of that gathering is an album with enough riffs and staggering arrangements, natural talent and visceral fusion to push Down into prime position to claim the spot as the Led Zeppelin for this new age in music. As with all great albums, it may take a few listens for it to sink it’s teeth into you, but the reward from it all will be painted over in dark red lettering the word “Classic”. After some vacillation on this, I believe that while this certainly is nowhere near Phil’s most brutal performance, it is his best. Moving from his classic screams and powerful bellows to a quieter grind or clean style that let’s you know what’s going on even if you don’t understand the words. While this band easily demonstrates the skill and talent of veterans, all instruments helixing around one another, the music is often driven by the riffing of Pepper Keenan, dotted with fantastic leads that carry a luscious tone. ‘Down II’ has made a definite mark for itself above and aside from its predecessor, ‘Nola’, fortifying the rise of the much-needed southern American metal. Bottom Line: A classic metal entry in rock history, for those who want something fresh, whiskey drenched and real.